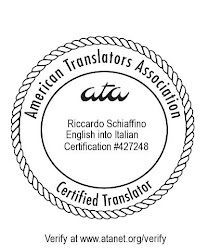 About Translation: Searching for definitions? We always need to find definitions for terms we encounter in our translations. One way to do so is to enter our search term in quotes, and add the word "definition" before launching our search in Google (or other search engine). This is a good technique that usually helps to find more formal definitions, for example from certain on-line dictionaries (as well as from other sources). Adding the word "definition" to a search, however, is not the only option to help you find the definition of some term. A often useful way to find hidden definitions is to search for a specific pattern such as "a [your search term] is a" as a complete string, for example "an hydraulic pump is a". The results found by such searches often come from the body of documents, instead of dictionary entries, and sometimes are even more useful to help you understand what your term means than regular dictionary definitions. Similar pattern searches can also help: for example "a [your search term] is used for", "the purpose of [your search term] is", and so on. You can refine such searches by, for example, limit them to a specific domain, or perhaps to a specific region. Your results may vary depending on the search engine you use. This technique can be adapted to most languages, for example "Un [your search term] es un" in Spanish, or "Una [your search term] è una" in Italian. Interesting - I am usually searching for medical abbreviations - what tips and tricks do you use for abbreviations? There are at least a few good resources on the Web for acronyms, abbreviations and initialisms, such as Acronym Finder (http://www.acronymfinder.com/), and the Free Dictionary (http://acronyms.thefreedictionary.com/). In addition to that, a search for "[Search term]"+ the word "acronym" or "abbreviation" is often useful. I don't do medical translations myself, so I'm not very familiar with specific reference sites for medical abbreviations or acronyms, but you might give the Medical Abbreviations Dictionarhy (http://www.medilexicon.com/medicalabbreviations.php) a try. Perfect post! This is something that I need every time I am searching for a meaning of a particular work Thanks for sharing. Thank you for sharing your useful tricks! Another good basic technique is to find a website (e.g. of a company that manufactures a particular device) that is available in good source and target language versions, find the term on the source version, then see how it has been translated in the target language page. To get hold of similar sites to corroborate what you've found, you can use the Google "related:" operator - (related:www.abc.com finds sites like www.abc.com). In Google, I use the syntax define:[your search term].